It’s no secret that Santa Fe is a food lovers paradise, with a reputation for legendary and innovative flavors stemming from a fantastic mix of cultural influences. February is upon us, and for many Santa Fe residents and frequent visitors, that means it’s time to let our taste buds do some exploring around town. 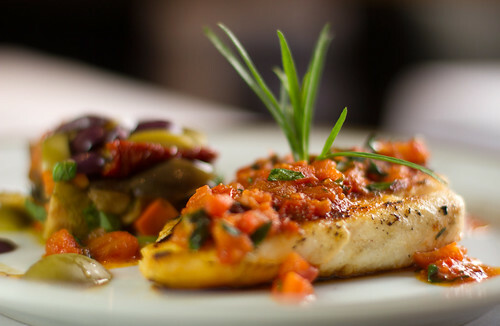 The 2014 Santa Fe Restaurant Week is here; an annual tradition perfect for the food lover in you. That’s right, the most delicious week of the year is back, with even more ways to experience the incomparable cuisine of the City Different. Santa Fe boasts more than 200 restaurants, ranging from our local New Mexican flavors to creative Southwestern cuisine to authentic world cuisines. 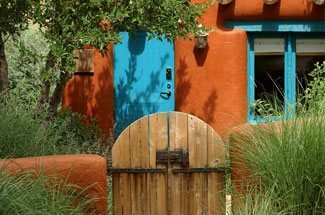 You’ll find it all here, and you’ll quickly discover why so many visitors have fallen in love with Santa Fe. 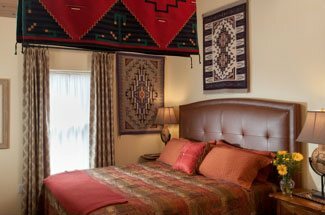 Four Kachinas Bed and Breakfast is ideally located in the heart of Santa Fe, making it the perfect destination for your next Santa Fe vacation. Book your room now, start making your restaurant reservations, and don’t miss this years Restaurant Week! Santa Fe restaurant week is a treasured time where we get the opportunity to sample the amazing and unique flavors produced throughout the world-renowned Santa Fe culinary scene. It is perhaps the best antidote to the winter doldrums that plague so many of us, as it’s your chance to feast on delicious, three-course meals at a fraction of the cost. This wonderful event kicks off on Sunday February 23rd, and runs through Sunday, March 2nd, and features discounted prix-fixe dinners and lunches in the city’s finest restaurants, plus special events, such as classes, demos, and tastings. Wonderful menus will be available from popular Santa Fe favorites, such as the Anasazi Restaurant and Bar, Andiamo!, Restaurant Martin, and The Compound, as well as about 50 other Santa Fe restaurants. If you want to extend your Restaurant Week experience and bring home more than just your leftovers, then be sure to try out some of the great demonstrations and classes available during this week. Why not try your hand at an amazing mole sauce in The Magic of Mole class, or test out your skills at making Chile Rellenos in the Chile Relleno Master Class? Whether you new to the culinary scene in Santa Fe, or are returning to sample more of your favorite cuisine, don’t miss your opportunity for the wonderful taste combinations sure to hit the plate at this years Santa Fe Restaurant Week. Reservations for this incredible event are already under way, and are highly recommended if you want a seat in the finer Santa Fe venues. Book your stay at our luxury Santa Fe Bed and Breakfast now, so you can stay right in the heart of the action during 2014’s restaurant week.